Kitchen Remodeling Secrets & Tips - Remodel for less than $500, supplies and appliances at 35% off, tools at half price, hundreds of money saving insider tips from professionals, and much more. carbon filter in the post position. you will need a booster pump with your Reverse Osmosis System. 5 Micron Particulate Filter: Removes dirt, sediment, sand, and other physical particles. Granulated Activated Carbon: Reduces chemicals, such as chlorine, that may be in your water supply. 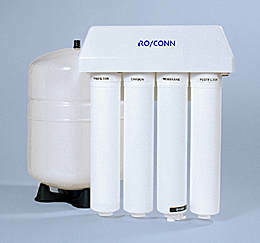 Reverse Osmosis Membrane: Reduces 93%–98% of dissolved mineral salts and other contaminates in your potable water supply. Post Carbon Filter: A polishing process that removes tastes, odors, and chemicals such as chlorine out of the water. The most user-friendly RO Syestem ever designed.